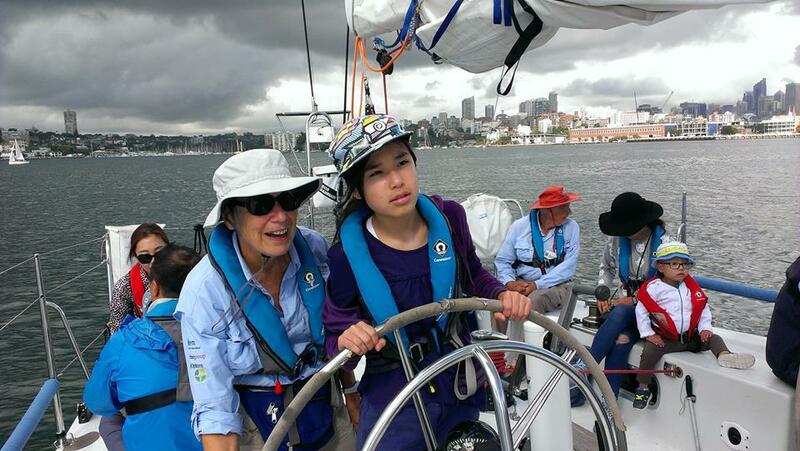 The Winds Of Joy program offers sailing opportunities to children with disability. For many it's a small step on the journey towards accepting their circumstances and believing they can achieve more. Want to Come Sailing in the Winds of Joy program? 2) Log in to our website and go to our booking calendar and reserve a sail under 'Get Involved'. 3) You will receive information via email 1 month prior to your sail date - asking you to complete and return a risk assessment form and to download the critical information and program documentation relevant to your sail departure location. The program gives children with disability the opportunity to feel nature's Winds of Joy blow over them. All in a safe non-comparative environment. Why do believe in Winds of Joy? For many, Winds of Joy is the first step on a journey of change. Most times this journey begins when participants see new horizons and they realise they don't need to be defined or confined by their circumstances. Seeing the magic moment when the 'penny drops' and change starts, is what motivates us to do this work. "For the kids we take out sailing, the experience might as well be a trip to the moon because it is so far outside of their normal environment. There’s no air-conditioning, no artificial light, no noise. It’s just nature, pushing the boat along. The kids get to steer the yacht, and when it takes off in a gust and they feel the acceleration, it’s like the boat’s alive and they are riding on a dragon’s back on a sea that has been there since the dawn of time. Who knows how this will stimulate their imagination and where that will take them?" Our yachts are specially adapted to take wheelchairs. Using a electronic joystick, pretty much everyone on board can have a go at steering the boat. 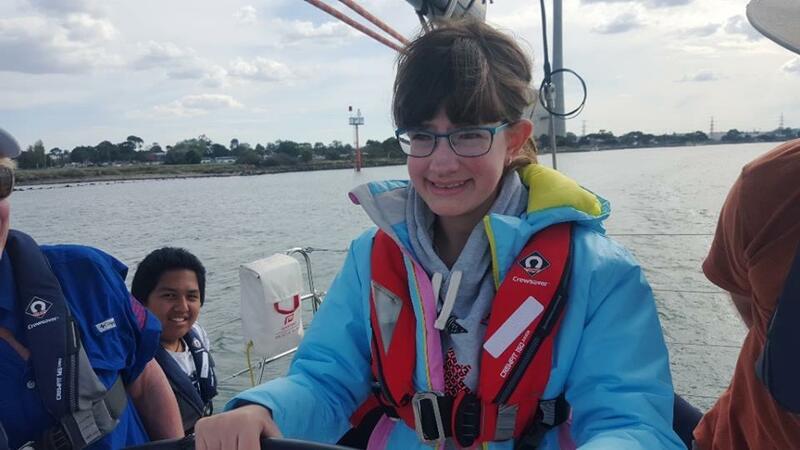 Our skippers and volunteers are trained to offer support, kindness, and a positive environment which encourages our participants and stimulates their imaginations. Little David was a severely disabled young lad in a huge wheelchair. We couldn't get the wheelchair on the boat and we prepared to leave him behind. His sister tugged at my arm. “He wants to come with us – please bring him," she pleaded. I just couldn’t work out how to get the chair on board so we found every blanket and doona we could and wrapped Little David up and carried him on board. He spend the first half of the trip happily cocooned in a 'nest' at the front of the cockpit. But when Little David noticed all the other kids heading up to the foredeck, he wasn’t happy! He repeatedly banged his leg until we carried him up to join the others up the front. He even made sure that he was in my arms as we parked the boat! Back in his wheelchair and on the dock, Little David hooked an arm around my neck and held me right by his face. He repeatedly banged the screen until the happy face came up. And then he made the happy face come up over and over again. "I had a spectacular day. It was something that I certainly did not think possible. I have not been sailing since I have been in my wheelchair, which is quite a few years now. To David Pescud and all of your volunteers, thank for making us feel so abled". 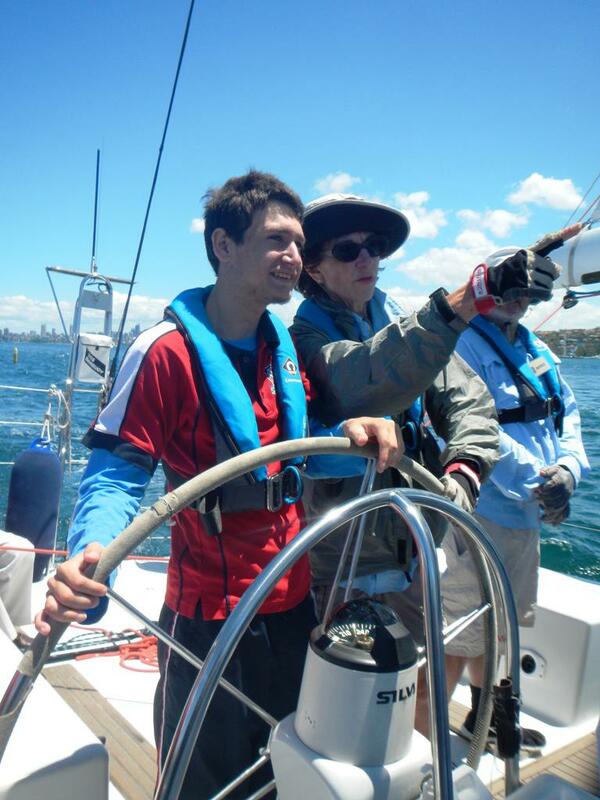 "On behalf of all from Waratah Day Program who attended the sailing session on Tuesday 7th May, I would like to say thank you to Sailors with disABILITIES and the skipper and all of the crew who made the day such a memorable experience. Many of our people who have a disability were talking about the experience for days afterwards and would love to attend again. A brilliant activity and service!" great job! I can't thank you enough!" and a beautiful day on a harbour." Students from Support Unit at Picnic Point HS. "Thank you so much for the once-in-a-life-time day on the Sydney Harbour.